The 25th issue of the Nonstop Culture Magazine is out! On 68 pages it offers a selection of fresh Swiss walls and trains. In three specials Unik/ CFK, Rush 186 and the OWZ Crew are featured. The new issue of Nonstop Culture Magazine arrived hot off the press! 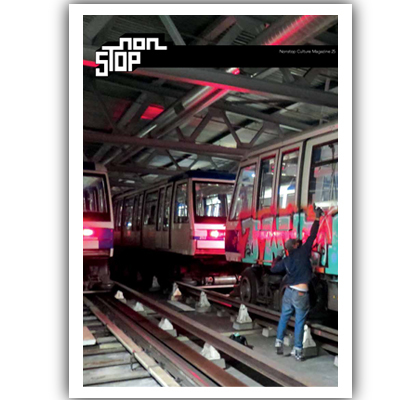 The 24th issue is devoted to Swiss graffiti. On 68 pages it gives you an update on the whole range of graffiti in Switzerland, with the chapters Walls, Trains and Freights and three interviews with KAM from Aarau, KROKO 403 from Basel and GUCCI from Bern and a comic by STILLALIVE. The magazine is now available at the Layup Online Shop and soon at your local graff store! How&Nosm – The Brazil Diaries is an intimate look at the Perre twins’ art explorations in Brazil. European graffiti artists and muralists residing in New York City, How&Nosm found that living in a society whose strict laws deny writers their right to self-expression meant they had to satisfy their creative appetite elsewhere. The solution was to travel to places with a greater understanding and tolerance for graffiti and street art. These trips were liberating and soon transformed from a desire, to a routine, to an addiction. They have painted in more than 60 countries thus far, with Brazil in particular proving to be the perfect playground for this ever-active duo. Get it @ Layup Onlineshop. 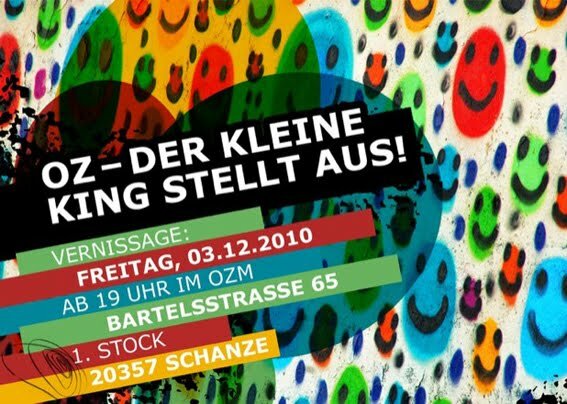 Der Spiegel widmet der Hamburger Ausnahmeerscheinung einen Artikel – die Galerie OZM Artspace (Bartelsstraße 65, Hamburg) widmet ihm bis am 26. Februar eine Ausstellung (“OZ – Der Hamburger Sisyphos”) und die Hamburger Staatsanwaltschaft – ja die widmet OZ wieder mal einen Prozess.